Are you ready for the few days left before Christmas?! Sure, now that you finally prepared all the gifts, you’re probably relaxing at home with your family, drinking tea and… Waiting for the fatidic date! 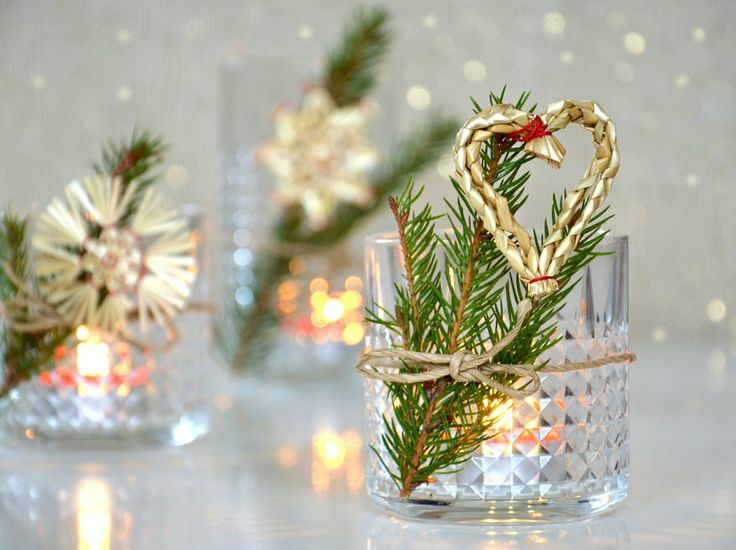 I think now is the time to be a bit creative after all this Shopping – don’t worry, these ideas will not ruin you nor will it take you a whole day of creating… It’s something which creates instantly this special Christmas feeling: candles! 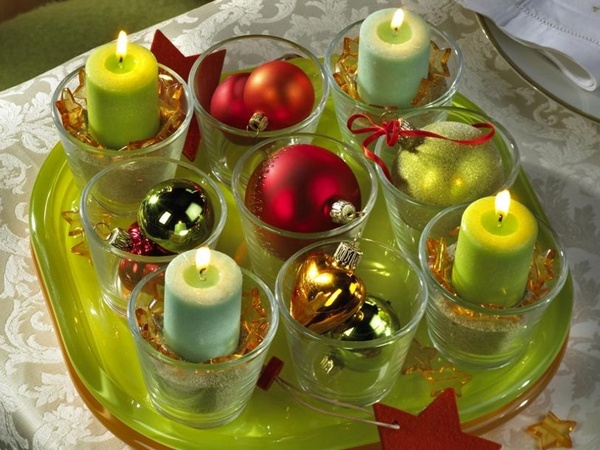 An easy yet original idea: take some glasses and put alternatively candles and christmas balls (you probably have too many of them anyway, right?) inside them. You can also add additional decorations and use a beautiful plate as a table mat, so it’s easy to move it around. How about combining the beauty of a light and a wonderful smell in your house? That was easy to convince you! 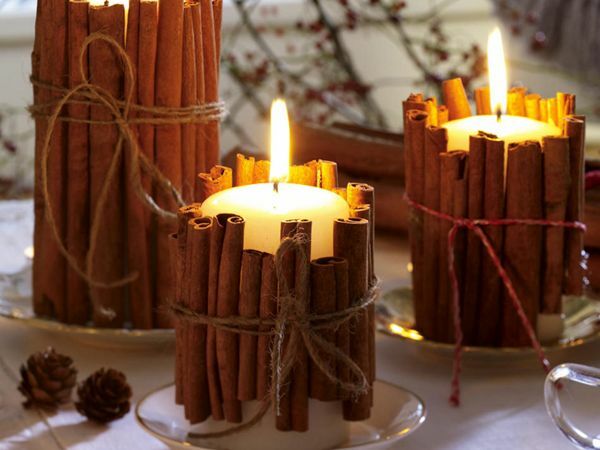 That looks almost tasty… because a bunch of cinnamon is bound with a thread around the candles! …And now, time to involve your kids: ask them to look for pine cones outside. 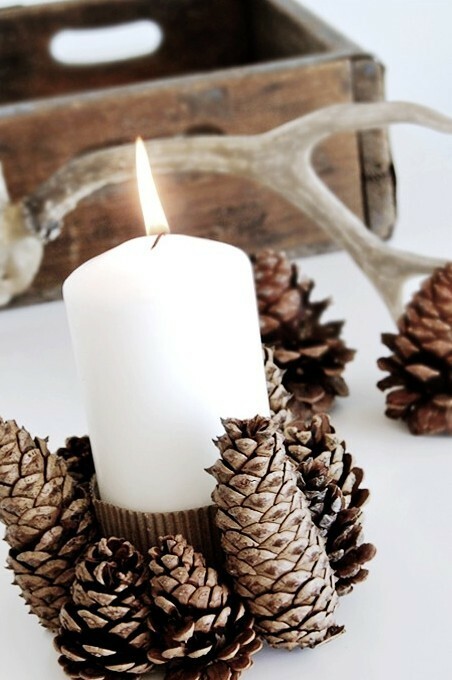 Use some cardboard (of the same color if possible), stick it around the candle, and when your kids come back, add the pince cones.